Syrah is the red wine grape that rules the Northern Rhone Valley. While Syrah is planted all over the world, at close to 70,000 hectares, more Syrah is planted in France, than in any other country. Syrah is the only red grape allowed by AOC rules in the appellations of Cote Rotie and Hermitage. In fact, it’s the only red wine grape planted in the Northern Rhone Today, Syrah is one of world’s most popular and widely planted red wine grape varieties. Syrah grapes are an offspring of two ancient varietals. It was created when Dureza, a dark skinned berry was crossed with Mondeuse Blance, a white skinned grape. This is thought to have first occurred on the west bank of the Rhone. The pairing is interesting as neither grape ever gained mass popularity before they were crossed. Both berries were planted in the Northern Rhone Valley, which is the home of Syrah. Dureza and Mondeuse Blanche remain obscure and seldom seen today. The discovery of the Syrah grapes origins came from extensive research conducted at UC Davis. The research was headed by Carole Meredith, who owns Lagier Meredith wines in Napa, which produces wine from Rhone varieties like Syrah Grapes. How long Syrah grapes have been in existence is not known with any degree of accuracy. It’s quite possible the ancient Romans planted the fruit in Vienne, which we know of as Cote Rotie today. At the time, according to writings from Pliny the Elder, the vines were called Allobrogica. It’s also possible Syrah is even older than that. Some historians believe Syrah was cultivated by the Greeks 500 years earlier than the Romans! While we do not know how long the grape has been used for wine, today Syrah continues to gain in popularity. Syrah is popular all over the world reaching its best expression in Hermitage and Cote Rotie. In Cote Rotie, some producers blend it with Viognier to produce a heavily perfumed, opulent and exotic wine. Today Syrah is ranked as the world’s 6th most planted grape. But that has not always been the case. During the 1800’s, Syrah started becoming more prevalent in the Rhone Valley and the Languedoc Roussillon area. 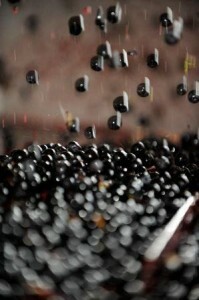 But the true explosion in Syrah started slowly taking off in the 1960’s. To give you an idea of the growth, in 1960, only 2,000 hectares were planted with Syrah in France. By 2005, over 68,000 hectares were devoted to Syrah in France. Today, over 70,000 hectares are planted to Syrah and that number is expected to continue increasing. The Languedoc-Roussillon appellation has the largest plantings of Syrah with more than 43,000 hectares of vines. Syrah is a perfect for a wide and diverse array of wine and food pairings. Syrah is often the best wine for all types of roasted, grilled or smoked meat dishes like; duck, beef, veal, sausage, grilled meats, barbecue and chicken dishes. Syrah based wines and game make a perfect wine and food pairing. Syrah also makes a great wine and food match with rich braised dishes and stewed meats or fishes. Syrah is for many people the only wine that works with numerous, winter comfort dishes like cassoulet, grilled steaks and good old fashioned, American hamburgers. Syrah can also be easily paired with a myriad of different hard and soft cheeses. Syrah is a small, dark skinned berry that grows in small bunches. If you look closely, the grape takes on a shape that resembles an egg. The grape produces naturally high, but not too high, acidity and tannins. Syrah ripens best in dry climates in terroirs and soils that allow for deep root penetration. The grape is somewhat hardy, but it is susceptible to coulure after flowering as well as attacks from mildew and oidium. Syrah produces deeply colored and concentrated, rich, red wines with the ability to age and evolve for years or multiple decades in the best cases. Typical scents and flavors include blackberries, plums, black cherries, flowers, spice, earth, chocolate, licorice, blueberry, cassis, pepper and truffles. Many of these secondary qualities develop as the wine ages. Syrah grows well in a myriad of terroirs and soils. However, the grape seems to perform best in the steep, rocky hillsides found in the Northern Rhone Valley, which are filled with gravel, schist, limestone, iron, granite and sandy soils. Wines made from Syrah have been popular for centuries with collectors all over the world. Thomas Jefferson, the third president of the United States raved about the wines of Hermitage in his diary. In fact, in the early 1800’s, Hermitage was the most expensive wine in the world. An advertisement from the famous Nicolas wine merchants in Paris from 1821 offers both red and white Hermitage at prices higher than any Burgundy or Bordeaux wine! During the 18th and 19th century, Bordeaux merchants would blend portions of Hermitage to give more backbone to Bordeaux wines. Some negociants offered this custom service to select clients. The wines were ordered as Bordeaux plus. As a homage to those wines from previous centuries, Chateau Palmer produces a wine in certain vintages that blends about 15% Syrah with their Margaux wine. Jaboulet, the famous wine of Hermitage has also been producing wines blending fruit from their vineyards with grapes from Chateau La Lagune, their sister property in Bordeaux. The first plantings of Syrah in California took place in the Napa Valley in 1878. 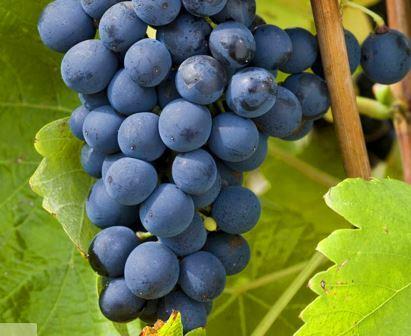 At the time, some growers mistakenly called the grape Petite Sirah, due to the size of the small berries. Petite Sirah, also known as Durif was not imported into California until 1884. However, the majority of those early vines were destroyed during the 1890’s following a devastating attack of phylloxera. By 1898, growers were once again planting Syrah in the Golden State. The style of Syrah based wine varies widely, depending on the terroir and the producer. In Cote Rotie, while a good number of winemakers produce very good wines, Guigal, with their top three wines, known as the “La La’s,” La Mouline, La Turque and La Landonne,” are the undisputed champions of the appellation. However, there are several producers in Cote Rotie that are producing wines of prodigious quality using Syrah in Cote Rotie. Many of those wineries located on the Cote Blonde blend a small portion of Viognier, the white wine grape to add exotic textures and aromatics to the wine. In Hermitage, Jean Louis Chave Hermitage, Jaboulet La Chapelle, Chapoutier Hermitage and now Guigal with Ex Voto are all in contention for making the top wines of the appellation. Syrah also produces great wine in America, Argentina, Australia, Chile, Italy, South Africa, Spain, Switzerland and numerous other countries. In Australia the grape was imported from France in 1831 by James Busby. At the time, the berry was referred to as Hermitage, its place of origin. There are also references where the grape was labeled along the phonetic lines for Syrah as Ciras and Scyras. But due to the French protected designation of origin, the name Hermitage was changed to Shiraz at some point in the 1980’s. In Australia, many people think it’s best expression comes from plantings in the Barossa Valley. The grape is also known as Shiraz in South Africa. America enjoys a good relationship with Syrah. Joseph Phrlps was among the first well known growers to produce Syrah in California, from vines he planted in the early 1970’s. Gary Eberle another early Syrah pioneer began cultivating Syrah on what is now the Central Coast in the early 1970’s as well. Today Syrah is planted in Northern California as well as the Central Coast, Washington state and Oregon. Numerous American wineries make fine Syrah wine. However, the wines from Manfred Krankl of Sine Qua Non, remain the benchmark for the level of quality possible from California Syrah. While the popularity of Syrah is dwarfed by Cabernet Sauvignon in California, slowly but surely, the grape continues gaining more public favor. To illustrate this point, in 1995, 2,206 acres were devoted to Syrah. By 2003, more than 16,000 acres were planted to Syrah in California and that growth trend continues today. The highest concentration of Syrah on California is located in the Central Coast region, with its epicenter being San Luis Obispo. Unfortunately here, instead of producing either 100% Syrah, or typical blends with Grenache and Mourvedre, you also encounter Syrah blended with Zinfandel, Merlot or Cabernet Sauvignon, which are not always successful. The Santa Bsrbara appellation, with its cooler climate and access to the Pacific Ocean has proven to be more successful. This is where you find Sine Qua Non and Alban, the leading proponents of Syrah in California. Growers in Sonoma are also making very good Syrah. While Syrah is usually associated with the Northern Rhone, there are plantings of it in Chateauneuf du Pape, Languedoc-Roussillon, Cotes du Rhone and other Rhone areas, where it’s used as a blending grape to give a wine structure, body, backbone and color. The most common blends with Syrah are Grenache and Mourvedre.